Bengaluru/New Delhi, 2nd June, 2016: The Indian U18 men’s basketball team made its rising aspirations clear with a dominant final round robin league victory over Nepal in the South Asian Basketball Association (SABA) U18 Championship 2016 that concluded earlier today in Dhaka, Bangladesh. As winners in the South Asian region, the team has yet again qualified for the FIBA Asia Championship, the 24th iteration of which will be held in Tehran, Iran from 15th to 24th July, 2016. The JP Singh coached team coasted to a 117-40 team over the Himalayan nation, after similar dominant wins over Bangladesh and Sri Lanka yesterday, in the four nation event. The final 12 that were picked to represent India at the SABA Championship 2016 were selected based on the individual performances of the players at the 67th Junior National Basketball Championship, 2015, that was held in Puducherry. 25 individual athletes were selected after the championship, after which the final 12 were decided on in a subsequent camp, which was held in Puducherry as well. 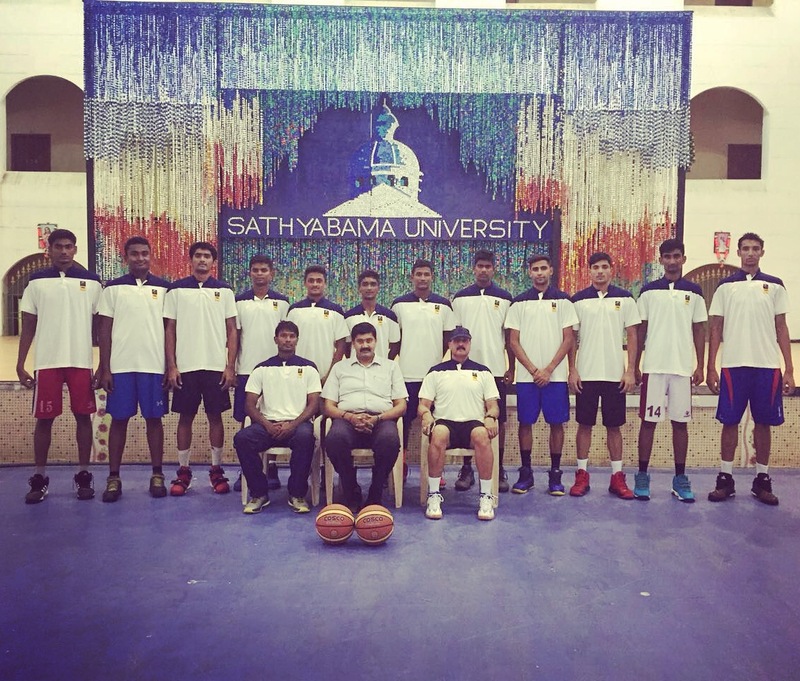 The squad then went onto play practice matches against Sathyabama University, Chennai and the Indian Overseas Bank Team prior to their SABA engagement. The team will be coached by Mr JP Singh, and captained by P Baladhaneshwar.